Functional design which arises imperatively from its application. Plain, stringent and without alternatives. Bionically formulated technology, geared to the funnel shaped physics of the human ear, allowing the most ingenious principles of sound transduction to unfold. Perfection comes from making complex things look simple and effortless. Does the semi-active ZERO TA reflect the many challenges that our engineers needed to master? No, and that's a good thing! Because the globally awarded cabinet design of the ZERO product line simply is: perfect. And so it was never put to question that we would take every effort necessary to create just one thought, when listening to the ZERO TA: perfect. The ZERO - TEIL AKTIV is the logical consequence of the ZERO product line. 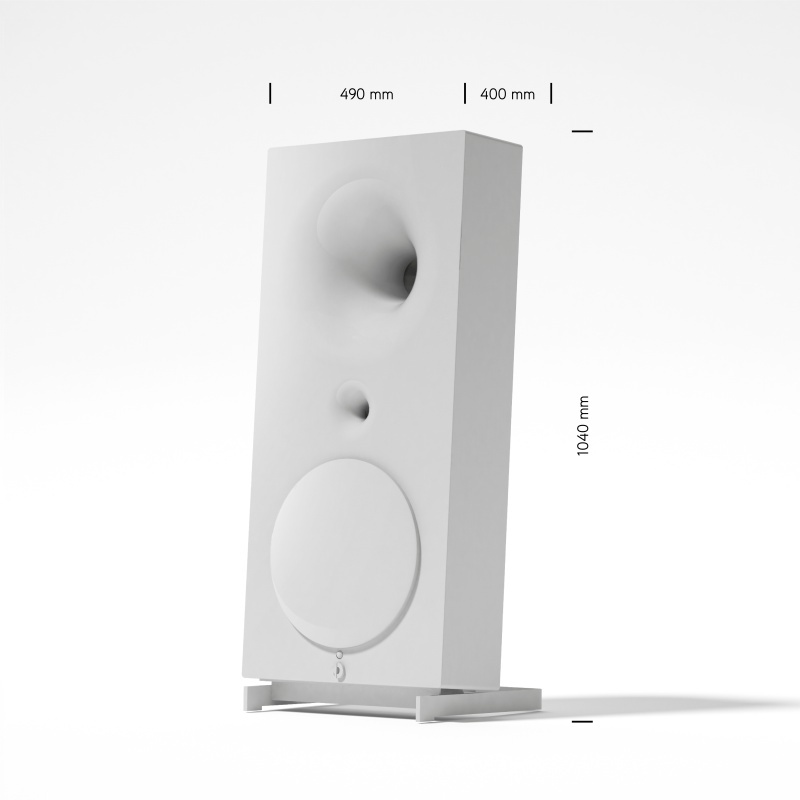 It combines the body structure of the ZERO with the 25 years Avantgarde knowhow in semi active speaker design. Basically it is scaled down version of the UNO in the sifgnifiantly smaller enclosure of the ZERO. The objective was to accomplish the clarity and power of its “bigger“ brother in a significantly reduced enclosure. The 400mm spherical midrange horn covers a wide bandwidth down to 300 hz. The active subwoofer supplements the balance between spherical horn performance and low frequency reproduction. It is actuated by one 12 inch long–excursion driver powered by a 500 Watt amplifier. All horn drivers are equipped with 8 ohm voice coils with 104 dB system sensitivity. This is 32 x times the dynamic range of a conventional 87 dB box speaker. Using Avantgarde Acoustic´s™ CDC–technology, we precisely align the frequency response, sensitivity of the driver, the geometry of the membrane and the air chamber at the horn throat to the response curve of the spherical midrange horn. This way the midrange driver has no passive filter components in the signal path – routing the music signal directly to the voice coil of the driver engine. Less components, less interactions, less friction ensuring more detail. Frequency control in the low frequencies is managed by an advanced digital sound processor. The digitally controlled frequency crossover ensure a seamless integration of the bass response to the spherical horns. The DSP is equipped with 10 parametric equalizers to fine control the sound to the customers taste and to the acoustics of the room. Compact size and purist design: Despite its clear, simplified shape and compact size, the ZERO 1 is full of self confidence as it seamlessly integrates itself into its owner‘s living environment. Moreover, its recessed spherical wave horn is a perfect example of no-frills functionalism. Fully active all-in-one system: The ZERO 1 is a fully active all-in-one system, ready to be fed an acoustic signal. All of an audiophile stereo system’s components— digital processors, analogue-to-digital converters, power amplifiers and the loudspeaker—are integrated in the ZERO 1. Moreover, they are all of level of high-end quality that is unprecedented in its class. Plug & Play installation: The loudspeakers communicate with each other via a radio link. They only need to be connected to the mains and the digital input of the master loudspeaker to the music signal (e.g. wirelessly via AirPort Express* or directly via USB, Toslink, SPDIF or the AES/ EBU interface). That‘s it. ABSOLUTELY NO COMPROMISE. TIME FOR DIGITAL BIONICS. A full-fledged spherical wave horn system, the ZERO 1 has all of the tonal advantages provided by the horn technology—the most original and natural acoustic transducer principle. The diaphragms, which are much smaller than those of conventional loudspeakers, have less moving mass, which translates into reduced inertia. This results in a sound characterized above all by its effortlessness, absence of distortion and explosive vitality—with a phenomenal efficiency of 104 dB. However, what actually makes the ZERO 1 fascinating is that it combines the ingenuity of the horn with the possibilities of digital sound processing. In fact, the technological quantum leap taken by the ZERO 1 comes courtesy of the perfect digital audio chain. The ZERO 1 succeeds in processing digital signals without compromising sound quality and transmitting them directly to the drivers without loss-making detours via passive filters. As a result, the horns receive a perfectly processed and amplified music signal. This is made possible by extremely sophisticated digital FPGA processing which is absolutely unique in this combination. Reduction not always means simply omitting something. Reduction also creates awareness for essential things. Or simply put: reduction is concentration. In this sense, the UNO Fino Edition is designed as a concentrate, using the essence of the UNO line of speakers to accomplish a new entry point for the 'classic' horn speakers series of Avantgarde Acoustic. In essence: a gently minimised size, a deliberately simplified engineering, but still a maximised Avantgarde sound experience. 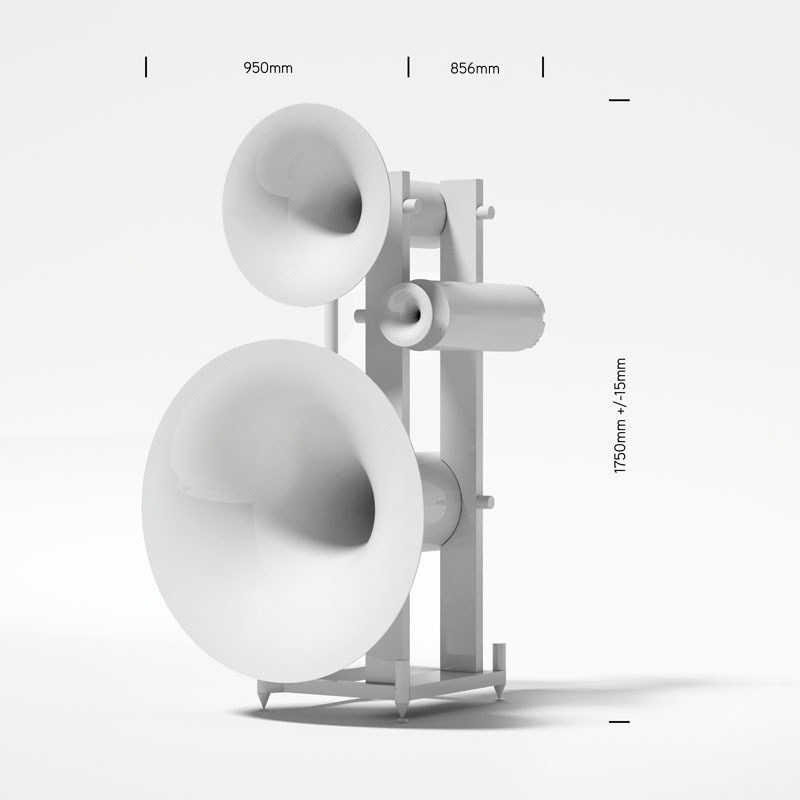 Opposites are simply fascinating us: A compact horn speaker with a capital sound performance. A distinctly reduced product design with downright lavish and sophisticated technology inside. That is the UNO. The entry into the cosmos of our classic horn loudspeaker designs, and yet already a statement that knows only few competition. 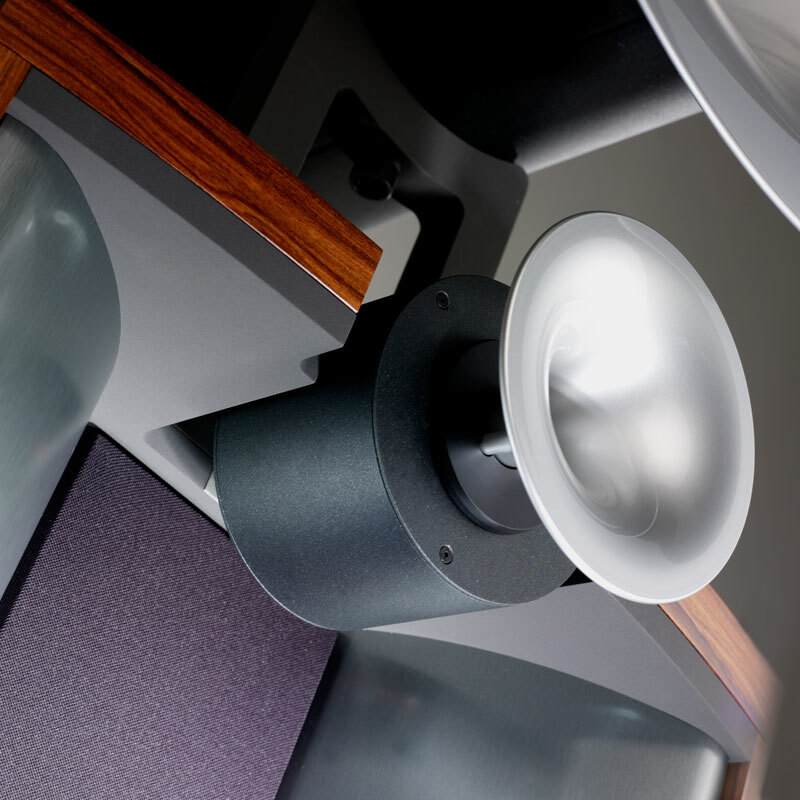 The UNO XD Series is a scaled–down version of the classical DUO system. By employing smaller 10 inch bass drivers and by integrating the horns as part of the speaker body, we managed to reduce the cabinet structure considerably. The objective was to accomplish the clarity and power of its “bigger“ brother in a significantly reduced enclosure. The 500mm spherical midrange horn covers a wide bandwidth down to 300 hz. The active subwoofer SUB225 XD Series supplements the balance between spherical horn performance and low frequency reproduction. It is actuated by two 10 inch long– excursion drivers powered by a 1.000 Watt amplifier. All horn drivers are equipped with Omega voice coils. With this high impedance technology we improve the interaction of membrane movement and amplifier signal, to realise the full potential of the spherical horn technology. The result is 18 ohms impedance combined with 107 dB system sensitivity – likely the highest figures in any production speaker. Using Avantgarde Acoustic´s™ CDC–technology, we precisely align the frequency response, sensitivity of the driver, the geometry of the membrane and the air chamber at the horn throat to the response curve of the spherical midrange horn. This way the midrange driver has no passive filter components in the signal path – routing the music signal directly to the voice coil of the driver engine. Less components, less interactions, less friction ensuring more detail. The tweeter of the UNO XD series is equipped with the patent pending Capacitor–Polarization–Circuit to bypass the structural limitations of capacitors. By applying a polarization current to the conductors of a custom designed capacitor, we managed to eliminate the physical phenomenon known as “dielectric memory effect”. Frequency control in the low frequencies is managed by an advanced digital sound processor. The digitally controlled frequency crossover ensure a seamless integration of the bass response to the spherical horns. The DSP is equipped with 10 parametric equalizers to fine control the sound to the customers taste and to the acoustics of the room. Welcome to the power of choice. The Duo XD is the actual version of the Duo, a horn system that is in the product portfolio since 1994. Featuring the same phenomenal spherical horn assembly combined with the significantly more powerful SUB231 XD subwoofer module. Born of the same heart, but with a different spirit. Darker. Sportier. Tauter. Not following the easy road, but the proper one. In pursuit of a goal that only few will ever be able to reach: horn technology from bass to high range! And the DUO MEZZO reaches it easily and implicitly, even a brief look at it will directly tell. The visual result is demonstrative, agreed. But the MEZZO's sound stage and musical authority is equally so! 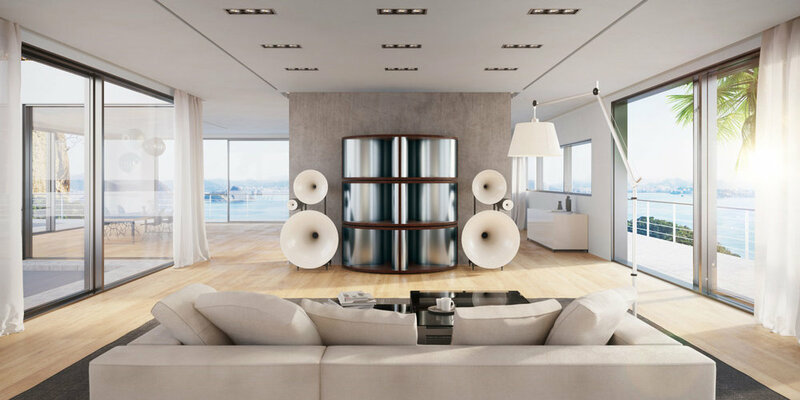 We welcome you to the fascinating world of full-range horn loudspeakers. The DUO-series is the most significant product line within the Avantgarde Acoustic™ portfolio. 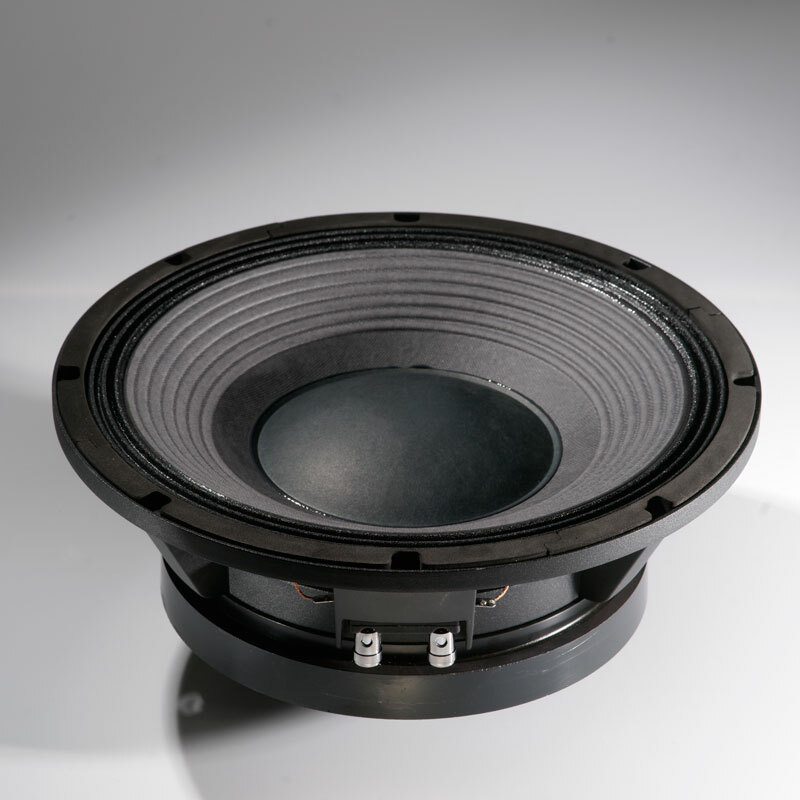 The 27 inch spherical midrange horn is a stringent symbiosis of low 170 Hz cut–off frequency, size and performance. All horn drivers are equipped with Omega voice coils. With this high impedance technology we improve the interaction of membrane movement and amplifier signal, to realise the full potential of the spherical horn technology. The result is 18 ohms impedance combined with 107 dB system sensitivity – likely the highest figures in any production speaker. Using Avantgarde Acoustic´s™ CDC–technology, we precisely align the frequency response, sensitivity of the driver, the geometry of the membrane and the air chamber at the horn throat to the response curve of the spherical midrange horn. This way the midrange driver has no passive filter components in the signal path – routing the music signal directly to the voice coil of the driver engine. Less components, less interactions, less friction ensuring more detail. The tweeter of the DUO MEZZO XD Series is equipped with the patent pending Capacitor–Polarization–Circuit to bypass the structural limitations of capacitors. By applying a polarization current to the conductors of a custom designed capacitor, we managed to eliminate the physical phenomenon known as “dielectric memory effect”. The DUO MEZZO XD Series is complemented in the low frequencies with the active Short Basshorn subwoofer. By utilizing two powerful 12 inch drivers loaded to a short hornflare, the dynamic headroom of the bass has been significantly improved. 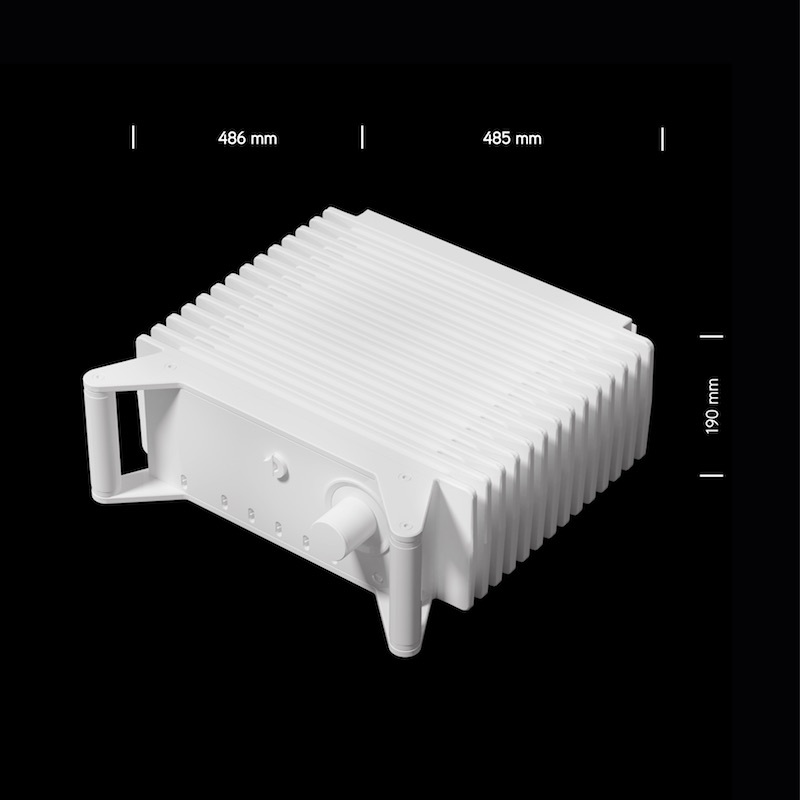 It is actuated by two 12 inch long–excursion drivers powered by a 1.000 Watt amplifier. The TRIO XD is Avantgarde Acoustic’s latest reincarnation of a reference class speaker, one that has defined the Status Quo of horn speaker design ever since its introduction in 1991. Featuring all reference grade technologies, such as OMEGA drivers and CPC crossovers, it presents a true State-of-the-Art piece of engineering and an iconic visual statement. The solid and elegant construction, comprising steel and aluminium cast elements, was widely adopted from the preceding version. Thus the TRIO XD seamlessly continues the proven and well established concept of the Avantgarde Acoustic horn speaker design. Like with the predecessor, the matching complementary subwoofer for the TRIO XD can be chosen from a range of 3 different models, SUB231 XD, SHORT BASSHORN XD and BASSHORN XD. All of which feature powerful 12” high-precision drivers, accurately controlled by the newly developed XD power amplifier modules. 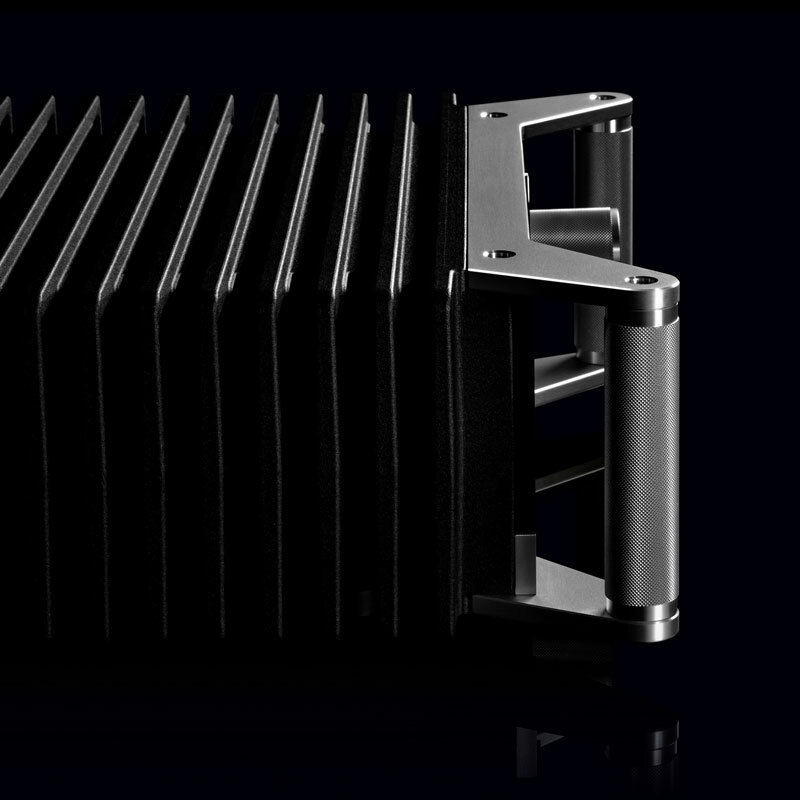 Due to its optimized Class-D circuitry, the XD amplifier delivers 1000 watts per subwoofer, thus ensuring that the membranes are moving exactly according to the original signal, creating a superbly contoured bass response even with the lowest notes, while at the same time providing perfect homogeneity with coupling to the TRIO XD low-midrange horn. Already the SUB231 XD complements the TRIO with excellent bass response, offered in a compact package. Chosing the horn loaded SHORT BASSHORN XD will still improve the homogeinity and the “thereness” of voices and instruments. And finally, opting for the BASSHORN XD, independent from choosing a 2, 4 or 6 modules’ setup, will open a cornucopia of powerful and tuneful bass, presenting a sound stage of totally believable and realistic scale and “weight”. Wherever a TRIO finds a new home, there is an appropriate bass solution available from Avantgarde Acoustic. Well understood: it is not always possible to go for the top level solution, means up to 6 BASSHORN modules. And it does not have to be! 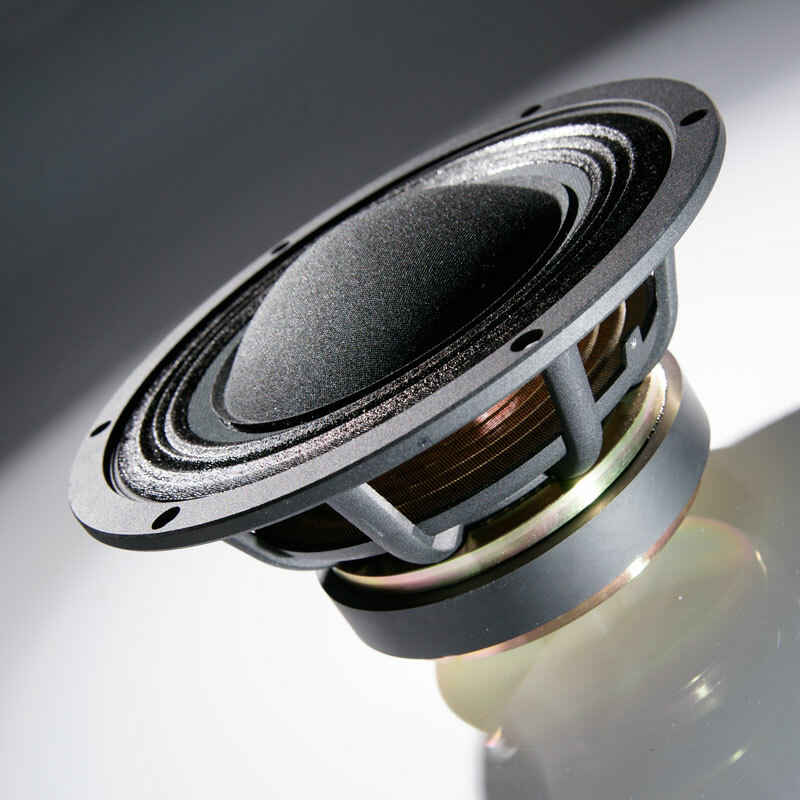 Even the SUB231 benefits from the same material pool of the larger horn loaded subwoofer variants. Because one thing should not be missed out, no matter how limited placement options may be: the power of palpable bass sound waves! The SUB231’s performance is characterized by its ability to perfectly merge with the lucid midrange of the TRIO satellite horn speakers. This smooth transition is provided by the high resolution and authority of the drivers/ amps, which extends even to the lowest notes. The SUB231 adds the kind of “body” and authenticity to voices and instruments, which finally makes the overall performance believable and 3-dimensional. Not to forget the ability of maintaining these virtues even at life-like listening levels. 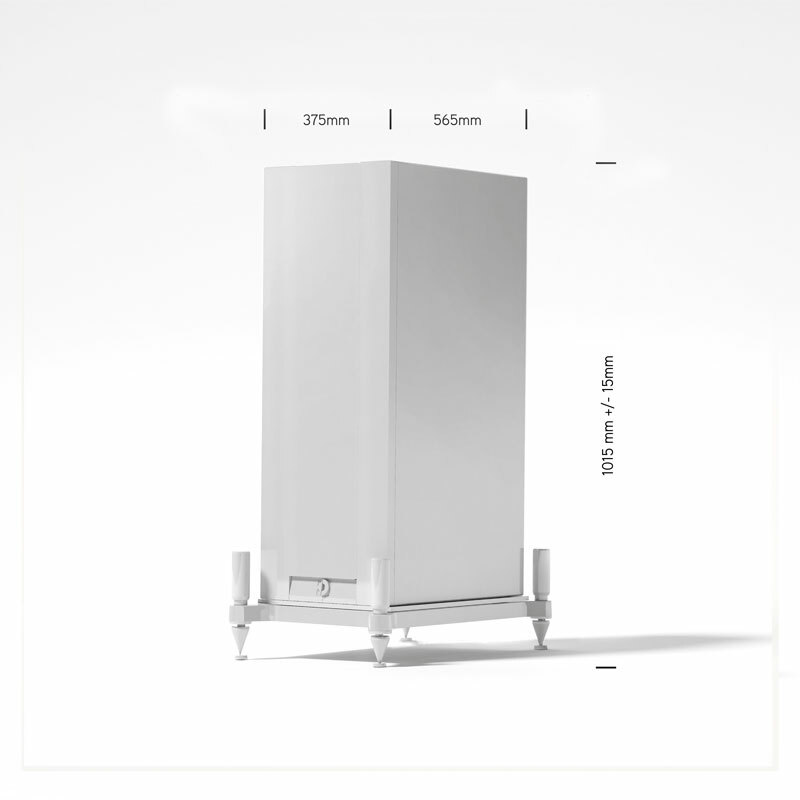 SUB231 is the subwoofer section of the DUO XD speaker, and is also available as a stand-alone woofer for TRIO speakers, providing for the perfect “entry” combination of the TRIO range of horn speakers. Sometimes it is a true pleasure for our engineers to pull out all the stops! For example when they see a really rewarding challenge in designing a horn loaded subwoofer with formidable low bass capacities that does not fill a wall at the same time. Because the result speaks for itself: an utterly uncompressed bass experience. And on top a cabinet design which directly expresses its inherent unrestrained power through the verve of its curved bass horn flare. What you can expect from the SHORT BASSHORN? A mature and perfected musical experience, formed by the concurrence of long-lived engineering expertise, enthusiasm for breaking new ground, and creativity. One of the main benefits of a horn is to reduce membrane excursion. And reducing membrane excursion automatically reduces distortion and increases resolution. And this is not only valid for the midrange and tweeter horns but is also clearly evidenced by the easiness and “swing” which the SHORT BASSHORN adds to the already excellent performance of the SUB231. Again this special quality of horn loading affects all areas, adding sheer power and punch to the lowest notes, as well as reproducing finest details in the upper bass range. But even beyond, extending to the upper midrange of the TRIO horns, the clean and “easy” performance of the SHORT BASSHORN can be recognized. In the Avantgarde Acoustic product range, the SHORT BASSHORN woofers are the standard subwoofers of DUO MEZZO/DUO PRIMO speakers. They are available as subwoofers for TRIO systems as well, whenever space and/ or budget do not allow for accomodating BASSHORNS. Why is the Basshorn a high end myth? Why is its nature of response so explosive, precise natural and pure? Why is any other bass technology – even the most elaborate conventional designs – so dramatically outperformed? Just look at it and you know why! 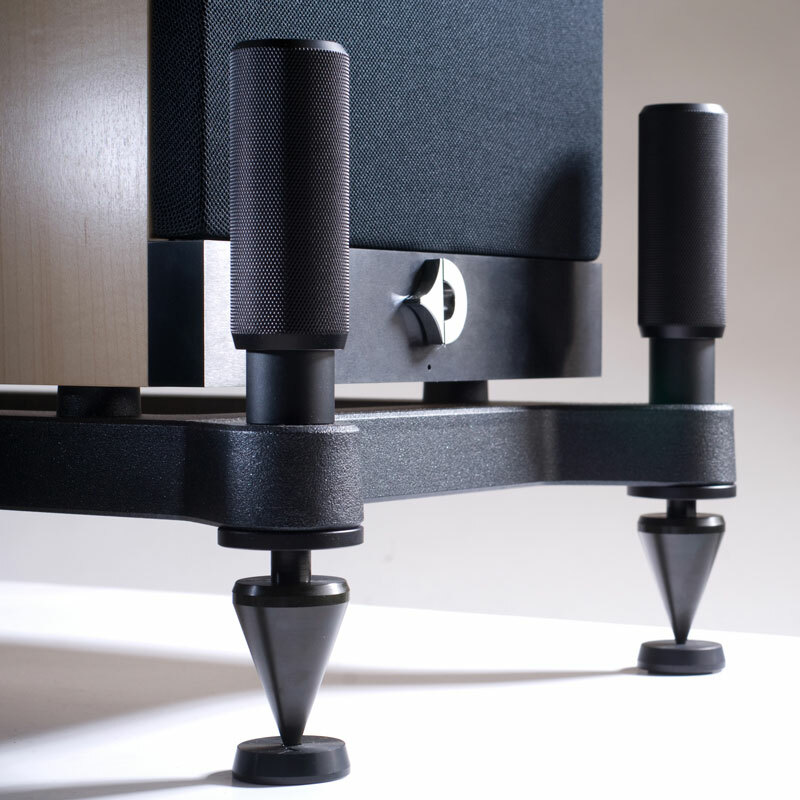 The Trio with Basshorns probably is the most beautiful speaker from Avantgarde Acoustic™. But in respect to its holistic technology it is for sure the most perfect speaker system. Designed for people with an obsessive passion for music – from people who esteem the exceptional. Close your eyes and enter a room… With your first steps you will easily recognise how big the room is and how much air is “facing” you. This is one of the qualities, the big BASSHORNs will add to the performance of TRIO speakers. Provided the recording contains this information, the true dimensions of the recording room become sensible (not only audible), sometimes even before the first note is played. A quality that can only be achieved if a subwoofer offers true resolution as opposed to just displaying the “heaviness“ of low notes. Moreover the performance of the BASSHORN has almost no limits when it comes to performing the impact and volume of the most powerfull recordings, such as orchestral music, organ pieces or life rock performances. These extraordinary qualities can even be enhanced by using multiple BASSHORN modules, thus providing perfectly outlined bass and perfected room-filling performance in almost every environment. The BASSHORNS are available as subwoofers for TRIO satellite horn speakers in recommended configurations of 2, 4 or 6 modules, placed/stacked in semicircular columns (in the middle of a wall) or placed/stacked into corners. Further placement options on request, please also see samples in the gallery. Pure pleasure. The Classico version of the Trio XD is the logical visualization of the outstanding technical features of the Trio speakers: to transform the art of simple music reproduction into an almost voluptuous experience involving all your senses. The head says: This designer frame version uses the exact same horns and drivers and is technically identical to the standard Trio XD version with its straight frame structure. The heart says: This is as thrilling and exciting as a real concert - for both your ears and eyes! The TRIO Classico XD is Avantgarde Acoustic’s latest reincarnation of a reference class speaker, one that has defined the Status Quo of horn speaker design ever since its introduction in 1991. Featuring all reference grade technologies, such as OMEGA drivers and CPC crossovers, it presents a true State-of-the-Art piece of engineering and an iconic visual statement. The solid and elegant construction, comprising steel and aluminium cast elements, was widely adopted from the preceding version. Thus the XD version seamlessly continues the proven and well established concept of the Avantgarde Acoustic horn speaker design. Like with the predecessor, the matching complementary subwoofer for the TRIO Classico XD can be chosen from a range of 3 different models, SUB231 XD, SHORT BASSHORN XD and BASSHORN XD. All of which feature powerful 12” high-precision drivers, accurately controlled by the newly developed XD power amplifier modules. 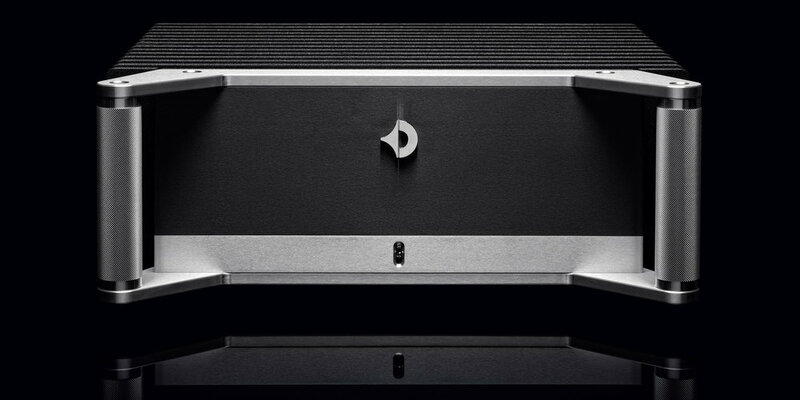 Due to its optimized Class-D circuitry, the XD amplifier delivers 1000 watts per subwoofer, thus ensuring that the membranes are moving exactly according to the original signal, creating a superbly contoured bass response even with the lowest notes, while at the same time providing perfect homogeneity with coupling to the TRIO XD low-midrange horn. 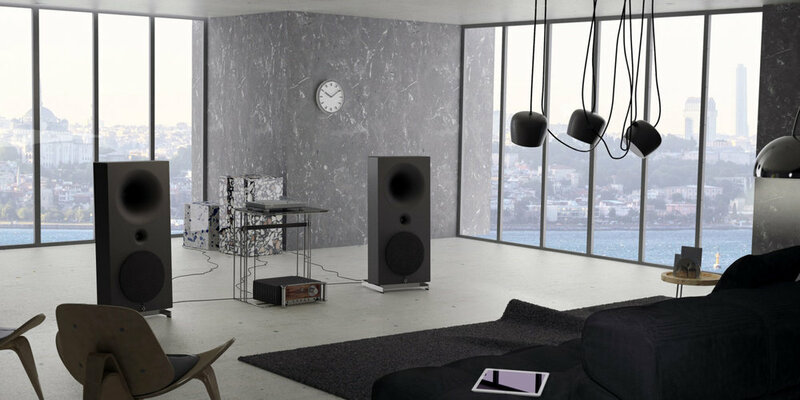 The TRIO from Avantgarde Acoustic is probably the most exhilarating speaker system of all time. An enduring icon of supreme craftsmanship and infinite precision. It has become an internationally recognized cult object, a design benchmark and a synonym of the perfect balance between purity and performance. So when we embark on a mission to refine the refined, you can expect a level of perfection never seen or heard of before – this is the story of the Trio Luxury Edition 26, STRICTLY LIMITED TO ONLY 26 PIECES to honour the Company’s 26th anniversary. Even more so than the choice of materials, the workmanship will determine how precious an object is perceived. Only when the veneer sheets are perfectly aligned, we will sense the warmth and durability of the precious German smoked oak surfaces. Only hand polishing the V2A stainless steel parts will single out the solidity and elegance of the material, augmented only by the optional 24K gold plating, another hand-made process. And even where just the ear will sense luxury, only a painstakingly monitored and precise winding process will finally render the pure and lucid sound that our hand made super-capacitors permit. True luxury knows only one goal: perfection. Designing audio amplifiers is a mind-game, even though the result shall target the listeners heart. That's why we put everything inside the XA INT that makes an integrated amplifier not just an elaborate machine but also a great musical communicator, conveying precisely and effortlessly what makes your favourite music so special to you. If you can hear the benefits of a 4-stage power filtering, a Single-Ended-Push-Pull Class-A/AB circuitry and a precision potentiometer? This we are convinced of! Your ears - and your heart - will. Who seriously resolves to rethink a matter, always has to start with the most difficult question of all. The question "Why?" Why do all conventional amplifiers have to battle with cross-zero distortions? Why are there no truly satisfying solutions to fight the contaminations of the public mains system? Why does one allow that electronic components resonate and thus distort the sound? And last but not least: Why do amplifiers all look alike? 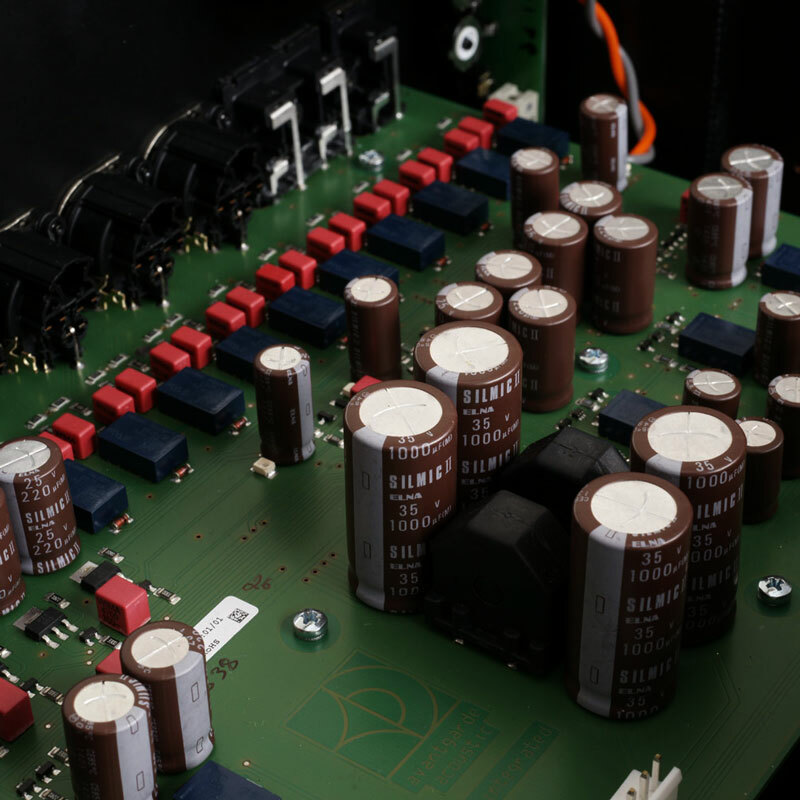 Questions which are still open and which served us as the starting point of likely one of the most ambitious projects in the history of amplification technologies: the XA PRE. Sound needs to be experienced. But until then, the sound of the XA POWER amplifier can easily be anticipated. You just need to have a look at the amplifier. There is this power. Tangible in the massive materials the heavy casting the strong handles the uncompromising outline. And nothing is for show. Everything has its function. No redundant controls no gadgets no ballast. But rather the visual conclusion of the technological clean-up. Naturalness and strength. The XA series sounds as it looks and thus it exactly follows up on the Avantgarde Acoustic promise: Purity meets Performance. 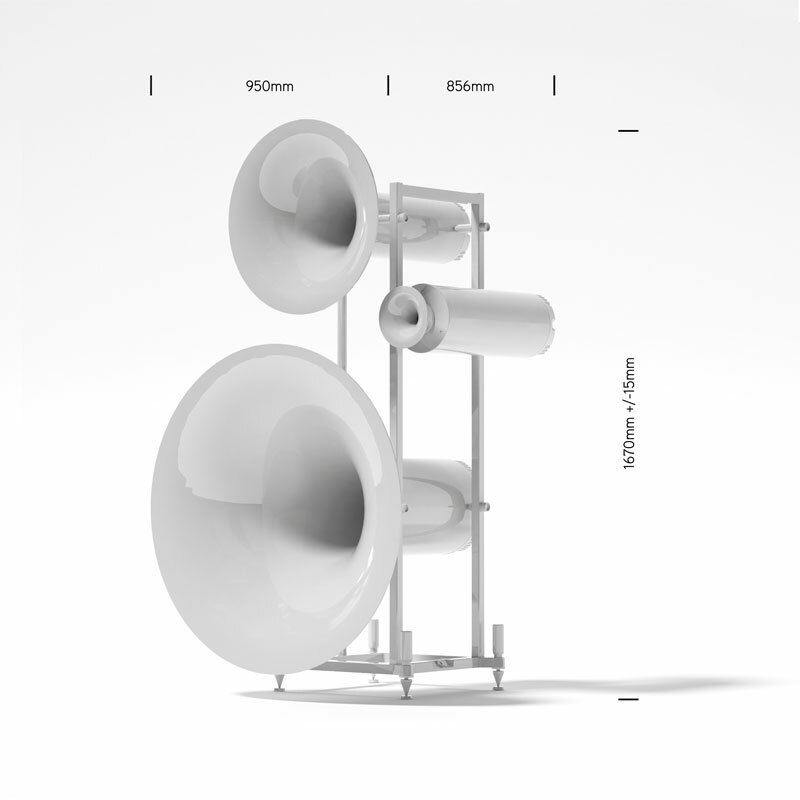 Horn loudspeakers are the physically most natural concept for sound reproduction. 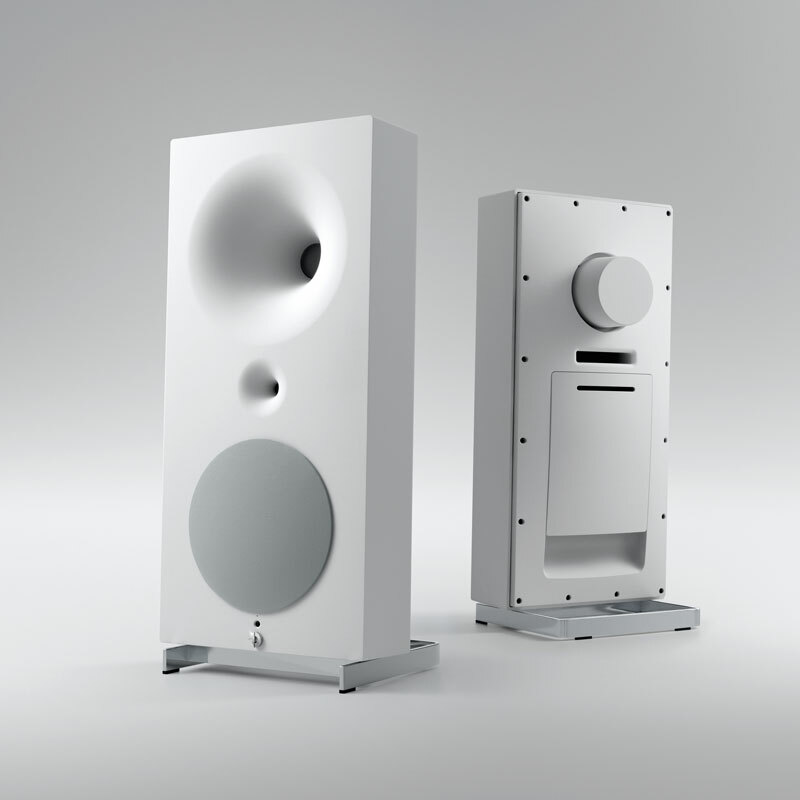 Their functionality still has undisputed advantages over other loudspeaker systems. Follow us through history and present, theory and application of this fascinating technique!